Specialty Merchandise traders in the top end of The Queen Vic Market have experienced one of their best starts to post Christmas trade in years. Tuesday 27th December was a Specialty Merchandise only market (food was closed) and some traders reported their best trading day for the whole month of December. Tourists from Malaysia and Singapore were evident as well as various groups from Europe. Thursday trade continued the strong trend. In a period of difficult retail trading it was certainly welcome to experience some good old-fashioned retail demand from the top end's most important customer group. We have received the following request through the Have Your Say facility on Victraders.com. Editor’s response – It is difficult to give even a general feeling without a lot more discussion with traders. That discussion hasn’t happened because of the Christmas break, but I will give you some thoughts that were discussed amongst the traders around me on Friday night. - Some traders in J shed adjacent to the Queen St. entertainment were still doing business at 7:00pm. - The night was probably never going to be really busy but early packers created holes that made the situation worse. - This type of market requires curation if it is to succeed. In other words only traders committed to the concept should be part of the market. It was always planned that traders who did not wish to commit to the late trading would be asked to move to the Peel St. end of the market so they could leave without creating holes. That obviously didn’t happen. Getting a consensus amongst traders is difficult. - We may have over-estimated the city-worker interest on that day. Some office workers have suggested that there was a general exodus from the city from mid afternoon. - The one hour extension on Thursday seemed to work for a number of traders (one reported that over 30% of his sales occurred after 2:00pm on Thursday) but the 9:00pm closing was simply stretching things too far on the Friday. - Despite the obvious failure of 9:00pm trading, business on the day was quite good. - The entertainment and PA announcements seemed to work quite well although constantly asking customers to take a break from shopping to attend events in Queen St. annoyed some traders. The suggestion was to do more to distribute entertainment through the top end. - There were positives from the day and a number of traders were saying it was a worthwhile exercise although we need to do much better next time. I stress that these are just initial responses from a small group of traders and there is a lot more to discuss and analyse. Traders are invited to express their views here if they wish. Normal rules apply (see the guidelines on the Have Your Say page. - Ed. PS - Our photo at the top of the page shows Mick & Robyn still set up at 8:30pm on Friday night. They may have been the last traders standing in the top end. May this Christmas be a time of great joy and happiness. May this Christmas end the present year on a successful note and make way for a bright and prosperous New Year. Wishing you and your loved ones a wonderful family gathering with love and peace this Christmas season! And you know that contains a whole lot more. Merry Christmas everyone. The Queen Vic Market's plan to trade until 9pm on Friday 23rd December is being heralded as the first time the market has conducted late trading across the whole market. Don't worry, the Queen Victoria Market has lots of prawns. Ambrose Faure from Happy Tuna Seafoods dishes them out. Photo: Wayne Taylor. 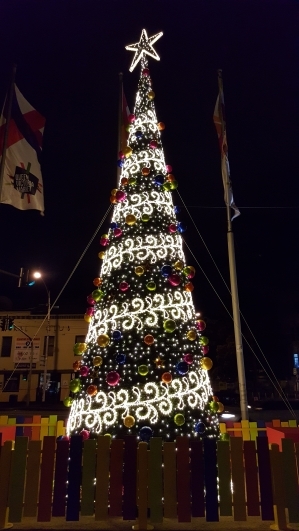 A Christmas Festival at Queen Vic Market. 19/12/2016 08:29:59 opportunity now "I read with interest, the leaflet this Sunday about the pavilion, and trees. Please please, please, this is an opportunity not to be missed. Most people know the problems associated with plane trees, both health, and environmental, and how the mel, city council is looking at ways to clean up the city of them..
Traders and customers have told us that improved weather protection is important. You may have noticed new weather monitoring sensors, which were installed throughout the market recently. 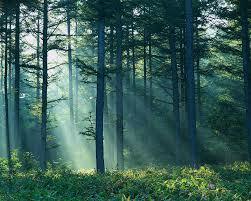 The micro climate sensors will help inform the design of weather protection and future sustainability measures. They measure temperature, humidity, wind and radiant heat on roofs and are located in the upper and lower market sheds, Dairy Produce Hall and car park. We'll be working closely with traders on this important improvement from next year. City Council Mayhem – the election and then withdrawal of indigenous councillor Brooke Wandin, has resulted in charges being laid over alleged misleading conduct by Wandin and ex councillor Richard Foster. One result of Wandins withdrawal is that a recount or count back will have to be conducted which could impact on trader Michael Ciaifa’s candidacy. More to come on this one. 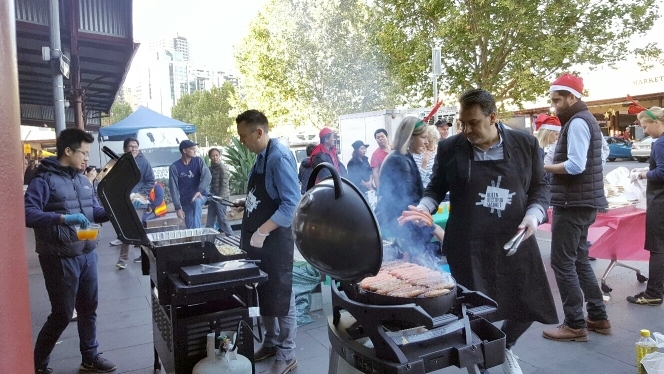 Sausage Sizzle – the sausages cooked by QVM staff down on Queen St on Friday were well received by traders with some taking back multiple breakfasts for their own staff. 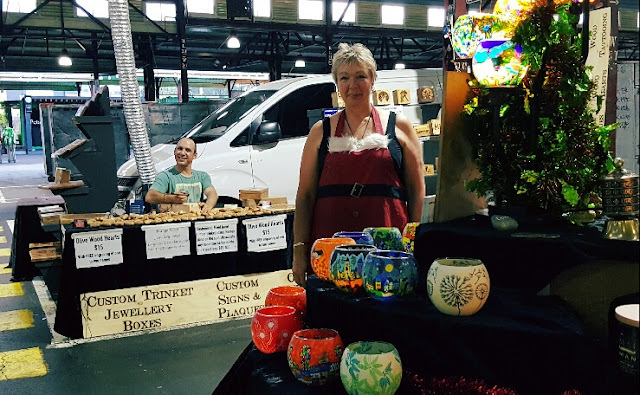 Some traders complained that they couldn’t get away from their stalls to enjoy the offering and perhaps next year QVM could organise deliveries to stalls. Sounds reasonable enough. The cooking and serving talents of our executives were generally praised with at least one trader saying it was the best free sausage he had eaten all year. High praise indeed. 20/12/2016 08:42:09 Atm "Well well, thank you management for taking our suggestion , and replacing the coke machine with a much needed ATM in the centre way of j shed . 1. Howards Storage World enters administration. 2. Several Queensland prawn fisheries shut down due to White Spot disease. 3. Former Councillor Richard Foster and candidate Brooke Wandin to be charged over alleged election misconduct. 4. Luxury fashion e-tailer, Everlane, now ships to Australia. 5. All Payless Shoe Stores to close. 6. Temple & Webster and Milan Direct to merge online operations. 7. Chicken over supply likely to hit producers profits. 8. Typos launches first physical store in UK. 9. Pizza Hut links with Menulog for deliveries. 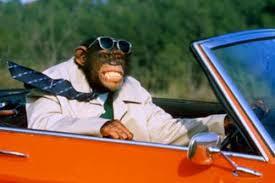 Melbourne Zoo wants more parking. According to a newspaper article last week they are currently allocated 1500 parking spaces at Royal Park and they want a further 1000 spaces, possibly in a multi-level car park. That would give them 2,500 car spaces. Their justification for more parking is based on expanding their 1.4 million visitors per annum numbers to 2 million over the next 5 years. Train or tram lines run past the zoo but only 15% of patrons choose to use public transport. You can make an interesting comparison with the Queen Vic Market which, according to some figures compiled some time ago, gets 10 million visitors per year (that was before the night market started). QVM is currently only guaranteed 720 car parking spaces. We also have public transport running past our market although many people prefer to use cars, particularly if they have to carry heavy parcels of food. Traders had been asking for their 720 car park spaces plus replacements for spaces recently removed from surrounding streets, and if QVM plans to remove trader vehicles from stalls, a further allowance for trader vehicles. The more you look at it, the more reasonable that request becomes especially if the Melbourne Zoo plan has merit. Gift giving has become tarnished with the "stuff we don't need" tag and like many popular causes perhaps it has gone too far. It has been suggested that the debate has been taken over by those who don't understand the tradition, those who jump on any anti bandwagon, or even worse, those who are too lazy to accept the responsibilities that come with proper gift giving. The backlash to gift purchases is not new. In 1912 The Society for the Prevention of Useless Giving, or SPUG, was formed in the US and boasted a large membership, including former president Theodore Roosevelt. 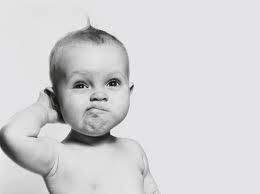 Questioning society's spending habits is a very healthy undertaking and different historical events including wars, recessions, and periods of great prosperity have influenced trends. However true gift giving is very wholesome and it can take many forms. The Three Wise Men gave Jesus gifts fit for a King. 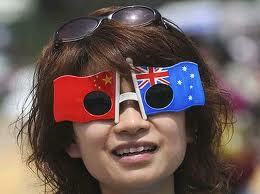 Countries give gifts to other countries or visiting dignitaries as signs of friendship. Families and friends have a long tradition of gift giving on many special occasions. It is all about showing respect or appreciation or just letting somebody know how you feel. At a family level the idea is to select gifts that suit the recipient, that will hopefully make them happy, and sometimes inspire them to achieve their dreams. So the budding musician may receive a guitar and the homemaker a gift to enhance their surroundings at home. The personalising of gifts is what makes them significant. It is not the value in dollars but the effort put into their selection. Kris Kringle anonymous gift giving is often criticised for avoiding the personal touch in favour of convenience and economy. A "make it yourself" gift has always been considered a great substitute for buying “stuff”. Making your own gifts can reduce the consumption of resources and is very personal. And for those with lots of spare time that is a great option. But those of us who do not have that time (or skill) there is the gift manufacturing and retailing industry and let’s not forget that industry supports many jobs and small businesses (including market traders) in the process. It is true that a gift doesn’t have to be a purchased item – an act of kindness is a very worthwhile gift. But when a purchased gift is the best way of expressing your feelings we should be able to do that without the baggage of the “stuff” tag. A gift that is given with care and consideration can add much to human relationships and that is a very worthwhile pursuit. 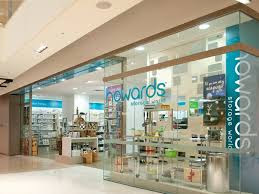 Howard's Storage World and Payless Shoes have something in common - they have both gone into receivership. The reasons for their demise are poles apart although in a sense the same. Let me explain. Howard's Storage World was expensive - super expensive. One of their products was a $529 Recycler Step Bin (kitchen waste bin) which had features like carbon filters to absorb smells and silent lid closure but in the end not enough features to justify the price tag particularly when competitors had much cheaper alternatives. Commentators are suggesting that high prices generally caused their demise. 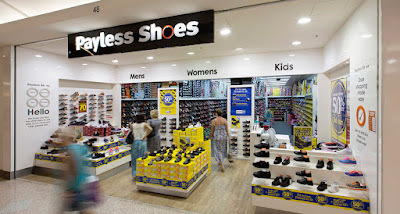 Payless Shoes on the other hand went super cheap, claiming to meet fashion demands of the modern family but in fact only generating a race to the bottom on price. In the fashion world, cheap prices alone are not enough. Both retailers lacked the balance necessary to win over consumers. There are retailers who are expensive but they offer other benefits like quality, innovation and brand strength that justify their consumer support. Similarly there are retailers who are cheap but offer enough other qualities to make them desirable. How to get the balance right is the $64,000 question and a quandary for every retailer. The ingredients that make a successful retailer are many and varied but If there is one quality that stands out it is probably innovation. Exciting your customers and showing them that you are on their side with constant improvements in your product range, and how you deliver retail service, could be a great way to avoid the experience of our high-profile failures. Security Doing Their Job – our security staff go about their business without much fanfare. On Saturday there were reports of a customer engaging in “upskirting” (using a mobile phone to film under women’s dresses). The culprit was apprehended and escorted from the market. Nice to know our security staff are working discretely in the background. Merry Christmas – Ooops! 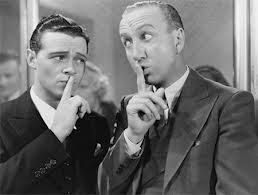 – apparently the staff Christmas party for our cleaning staff last Tuesday was followed by two staff terminations. Cleaning staff are employed by a contractor, not QVM, although that doesn’t stop traders taking an interest in their welfare. Cold Play Rocks QVM – well actually Cold Play didn’t rock QVM but their fans certainly did with many customers over the weekend displaying their concert merchandise while they bought some of ours. Also a big weekend for international tourists, particularly from Indonesia. Unusual Sales Trend – one of our top-end traders reports that this is the first year in a while that his December sales have beaten November sales. Normally he experiences a slight decline in December as interstate tourists stay home but not this year. Hopefully others are experiencing the same. New Temporary Market On Queen St. – generally favourable reactions from traders on the new Queen St. structure although at least one trader was struggling with the $5m cost. Apparently the structure can be sold at the end and at least part of the cost recovered. Legoland Discovery Centre is planning to build a Melbourne LEGO City with 10 major landmarks and you can help make QVM one of those landmarks. 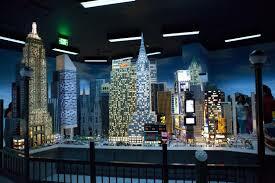 LEGO cities create huge local and tourist interest and having QVM featured would be a big plus for our market. Traders can help by going to the following link and selecting QVM as the attraction they would like to see featured. Release your inner child and vote now. 1. Official ABS figures show retail spending continues to rise in October. 2. Kathmandu increases its quote of sustainable cotton in its clothing. 3. Peter Jackson fills the big gap in menswear retailing. 4. COS, the high end H&M shop opens at Chadstone. 5. Woolworths launches Reindeer Carrots for Christmas. 6. 7-Eleven signs up to new deal with Fairwork Ombudsman. 7. Lululemon opens first “local concept store” at Bondi creating a meeting hub for local sports people. 8. Shopping centre owner, Stockland, introduces humanoid robot to assist shoppers in Sydney. 9. Vinomofo launches in Singapore. 10. New Sydney kitchen can cook 6,000 steaks in an hour for vacuum sealed readymade meals. 11. Woolworths joins forces with Australia Post for parcel delivery and collection. 12. Shareholders approve Steinhoff’s takeover of Fantastic Furniture. 13. Ikea’s global net profit surges 19.6%. 14. Federal Court says Woolworths demand for extra profit payments from suppliers did not breach Consumer Law. Details of the new temporary market to be built in Queen St. have been released this week with many innovations including an assurance that on 40C degree days the temperature in the new structure will be around 28C degrees. There is a lot to take in about the planned structure and details are available in press articles including QVM's own release - see the links below. 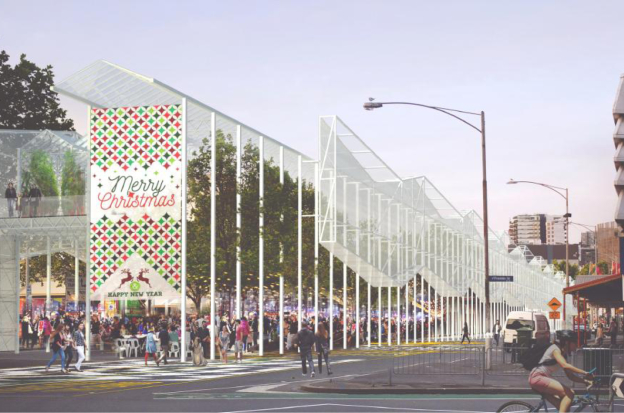 An enormous greenhouse will be built nine metres above Queen Street next year as part of a major redevelopment of the Queen Victoria Market. Queen Victoria Market 'greenhouse in the sky' part of redevelopment ... will create a home for traders as the Queen Victoria Market is redeveloped. 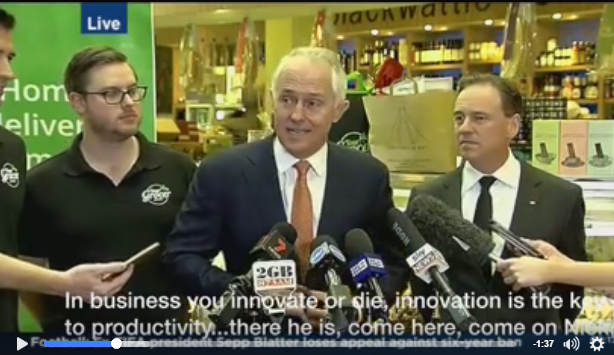 Prime Minister, Malcolm Turnbull, is pushing the innovation policies of his government and used a visit to the Sydney Fish Market to highlight the case for Australian businesses to "innovate or die". Traders have been involved in an interesting exercise with the QVM Marketing Team to explore marketing opportunities using social media, particularly with videos. We have previously identified those traders who have been the subject of this process - Bruce Goose, Andy's Vic Market Gifts, Annette's soap flowers, Ivano's Caricatures, plus many from the Night Market. The most amazing responses gave been received for food related videos. A video showing the cooking of Halloumi chips has reached hundreds of thousands of people. Food has an inherent interest factor. 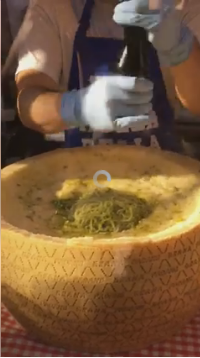 Who wouldn't get excited over things like chocolate infused cheese or pasta in a cheese wheel? But it is not just the subject matter that counts here. It is no accident that technology hungry millennials are a core part of the Night Market clientele. If your product is likely to appeal to that group of consumers, your chances of going viral on social media would appear to be better. Are you one of the traders who could take advantage of that connection? If so, talk to the QVM Marketing Team. "Can't see the wood for the trees" is an old saying that refers to obsession with detail at the expense of understanding the overall picture. Bezos could easily have been talking about the core customer desires for great service and cheaper prices. Identifying what is not going to change and then working out how you can support and enhance that core stability, might just be a good way of choosing a path for the future in many different aspects of business. 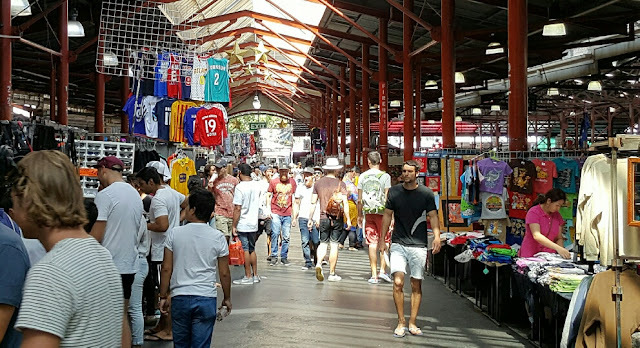 Traders are reminded that a policy exists to protect older traders from extreme heat conditions at the Queen Vic Market. Traders 65 and over are exempted from being required to attend the market on days where the temperature is forecast to be 36C or over. Temperatures of or above 36C will be defined by the weather forecast delivered on the 6pm news and weather or radio program as the predicted weather for the Melbourne area. Traders are still required to notify the office of their intended absence through the normal channels and no later than 7am on the day of the absence. Traders seeking further clarification are advised to contact a Market Officer or their Category Manager. The following articles concerning The Queen Vic Market have appeared in newspapers or online in the last couple of days. Amazon's new store in Seattle will open in 2017 and exhibit a high tech way of shopping without checkouts. Commentators are already saying that the concept may be appropriate only for city centres where time poor office workers need a quick shop but like many retail innovations can we expect some wider impacts? The video is worth a quick look. 1. Woolworths sets up a special team to deal with Amazon threat. 2. Metcash (IGA) says Home Timber & H’ware purchase and flat trading have impacted on profits. 3. Fashion retailer, Decjuba, continues expansion with store rollouts. 4. JB HiFi completes Good Guys takeover. 5. Red Rooster implements national delivery service. 6. Chemist Warehouse ordered to back pay millions for “unpaid” training. 7. Phillip Morris launches smokeless cigarette that heats tobacco but doesn’t burn. 8. US research firm says Thanksgiving weekend sales at retail stores fell 10% compared with 2015. Careful How You Serve Wheelchair Customers – one of our traders was serving a wheelchair bound customer at a top end stall. After a short deliberation the customer decided on his purchase. Our trader placed the purchased item in a carry bag, took the customers $50 note, quickly placed the carry bag on the customers lap, and turned back to his counter to get some change. He was suddenly aware of a commotion and turned to see the wheelchair doing rapid circles in front of his stall. The trader had inadvertently placed the carry bag handles over the chair’s joystick and activated the mechanism so that the chair was doing rapid “doughnuts”. After a little bit of panicking, a quick response from the trader, and some profuse apologies the situation returned to normal. Those wheelchair joysticks can be super sensitive. Little Things That Count – one of our traders is a new casual and he has been battling to achieve the results he wants from market sales. He has a decorator product that ticks many of the boxes for new craft or designer products. One of our Trader representatives visited this trader on Saturday to be told that he had experienced a bumper sales day at last. The reason? – his stall had been included in the market’s guided tour for that day and that made all the difference to his sales. More of the same please. Facebook Videos – Head of Promotions & Communication, Mark Scott has teamed up with some traders to experiment with facebook video promotion. We posted recently about Bruce Pham’s video on sock manufacturing which has now reached over 7000 views and climbing. Similar promotions have been done for Andy’s Victoria Market Gifts, Ivano’s caricatures and Annettes flower soaps. The high mark has been set by a Night Market video showing deep fried Haloumi chips with 134,000 views and this method of promotion shows great potential. 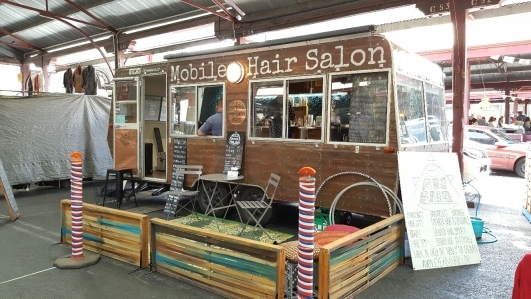 New Traders – a big welcome to Chelsea De Main from Eye Am Hair with her hairdressing caravan up in C Shed. Chelsea is on a trading trial leading up to Christmas and she offers a whole range of hairdressing services. She even made one of our traders look presentable so pop in if you need a haircut, hair colours, wash and blow-drying, braiding, hair wraps, beard grooming and styling. 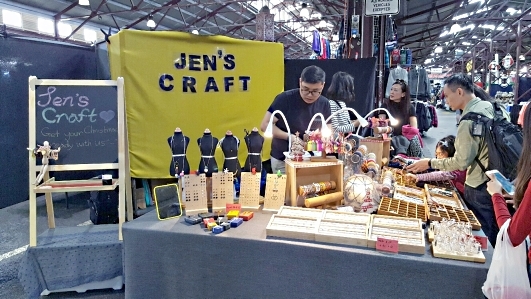 And a big welcome to the operators of Jen’s Craft who created quite an impact on the corner of K Shed and the W Walkway on Saturday. What About A Clearance Stall – over the years markets have been famous for clearing a whole range of goods from distressed sales, auctions, and other outlets that offer bulk purchases at the right price. In the good old days a trader might sell aluminium saucepans one week and silk umbrellas the next. We now categorise our traders and we each have an approved list of goods we can sell which, unless you are lucky, prohibits the sale of clearance items. Categorising is good because it protects legitimate traders from unfair competition. But one trader has suggested that there could be a category that allows the sale of various clearance items and enhances the reputation of a market for great bargains. That might be OK as long as it isn’t your product that is being cleared. What do you think? Organisation has issued a warning that music volume should be kept at around 60 percent and they should be worn for no more than one hour per day. 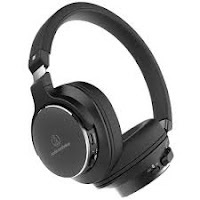 Additionally they suggest you use the more expensive noise-cancelling headphones so you are not inclined to use high volumes to block out background noise. There is certainly plenty of background noise during set up and pack down times at QVM. 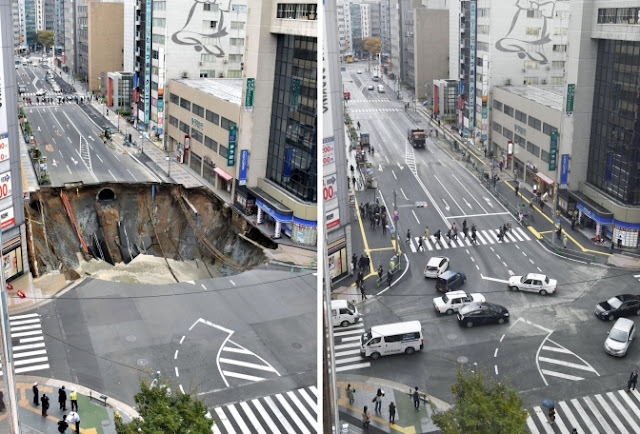 As traders agonise over the long term disruption of underground facilities being put under A,B & C Sheds, one of our traders has proposed we should take a leaf out of this Japanese city's repair book. A gaping 65 metre deep sinkhole suddenly appeared in this city street on November 8th but less than a week later (second photo) it had been repaired. We are not quite sure how you deliberately create a sinkhole and this one was repaired with a simple fill-in, but we appreciate the sentiment. Minimising disruption will be paramount for all concerned. After 6 years serving as a Trader Representative at QVM I have decided not to nominate for the upcoming Trader elections and it is an opportunity to reflect on a turbulent time in market representation. In 2010 when the CEO at the time, Jenny Hibbs, invited participants to a Trader Focus Group discussion there were many clear issues for our market. The GFC had wreaked its wrath on retailing and the economy generally. Customer reviews were showing increasing criticism of the market offer, particularly in the top end, and it was clear we needed to review our direction. For Specialty Traders (General Merchandise) there were some key issues. Market promotion was almost entirely directed at food with the prominent tourism brochures at the time completely neglecting the Specialty Merchandise offer of clothing and souvenirs even though that is what the tourists would come to buy. That has all changed. And while QVM is rightly regarded first and foremost as a food market (there, I have said it) there is increased emphasis on the important role of tourism with specialists like Andrew Cyples adding their expertise. Another key concern for the original Focus Group (later to become the QVM Advisory Committee) was the lack of core retail expertise in management. You can imagine how that criticism was greeted by management at the time. Our reasoning was that the GFC had changed the ground rules and it was no longer sufficient for "property managers" to meet the needs of a rapidly changing retail world. The Boards recent appointment of Malcolm McCullough as our CEO with his strong core retail experience (including small business) showed that they agreed. Of course a major concern for early Trader Representatives (and I should have put it first) was lack of investment in our market by City Council. 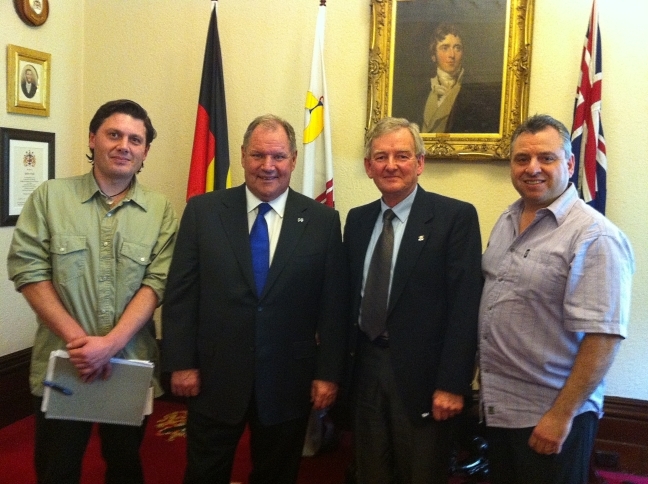 We have recorded on these pages before about that momentous occasion when an angry Trader wrote to the Lord Mayor asking for a meeting to discuss lack of commitment to QVM and Lord Mayor Robert Doyle agreed. He said the decline of the market was a major concern for the city and set about correcting past neglect with a potential $250 million re-investment strategy. Trader Representatives have been an important part of that process. The fourth major issue for Trader Representatives was reversing the decline in trader's incomes as the retail revolution took hold. Obviously this remains a work in progress. Like retailers around the globe we at QVM are struggling to adapt to new consumerism. There are bright spots. Our Night Market concept shows promise and we now have funding to make suitable changes to the way we operate. We are engaging the best brains from our respected city design team and listening to global experts as we carefully pick our way forward. Trader Representatives have an important role to play as they contribute "on the ground" experience and communicate with the wider trader body. In a process started by Jan Cochrane-Harry and now strengthened by Malcolm McCullough, our access to management staff has never been better. The influence of Trader Representatives can be considerable. The upcoming election will be an opportunity for fresh creative trader minds to help find a way forward for QVM. If you are one of those people, or you know someone who is, now is the time to nominate. A bright future for our market depends on it.